Citizens groups at various levels had envisioned the importance of the DP revision and had begun building awareness when the DP revision was announced in 2011. This could be attributed to the fact that there was increased consciousness on the long term consequences of urban planning – that ongoing urban restructuring projects, resultant demolition of homes, lack of public amenities could be traced to lacunae/non implementation of the earlier DP; its ensuing planning tools & incentives. In 2013, various groups that had been actively involved in the Development Plan revision process began collectivizing under the banner Hamara Shehar Vikas Niyojan Abhiyaan Mumbai (Our City Development Plan Campaign, Mumbai) now Hamara Shehar Mumbai Abhiyaan . This is a city-wide campaign that draws from the idea of the ‘right to the city’. It is a collective of communities, people’s movements, academic institutions, NGOs, CBOs, unions and activists – it aims to sustain the process of participation in urban planning and governance in Mumbai. Hamara Shehar Mumbai Abhiyaan has, over four years, advocated for a participatory approach to urban planning that takes into consideration the fundamental needs of Mumbai’s majority and a people’- centric approach to the city’s biggest challenges. The Campaign has played an active role at various stages of the DP preparation. 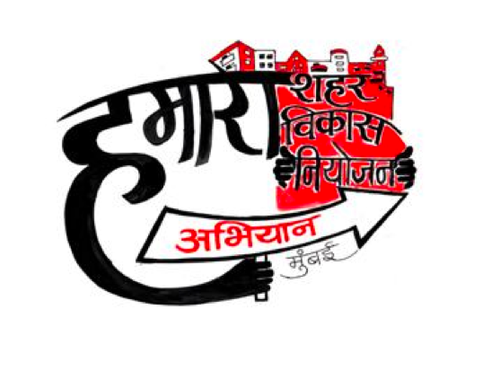 It was active in the extensive corrections made to the Existing Land Use Plan (made public in 2012); it developed and submitted to the MCGM a ‘People’s Vision Document’ that highlights fundamental issues in the city from a people’s perspective; it hosted various MCGM-initiated sectoral consultations through institutions involved in the campaign; the campaign was also active in garnering participation at the ward level consultations. It has also developed and submitted to the MCGM alternate plans for large settlements in the city. These were the Cheeta Camp Plan and the Malvani People’s Plan – a model local area plan that aims to achieve comfortable living and working conditions, sufficient amenities and social infrastructure in high density low income settlements.